The iPad is one of the most popular of all the iOS devices; its larger screen makes it ideal for many things, and there are loads of iPad only tweaks to be had in Cydia as well. With a severe shortage of jailbreaks at the moment, we have found an alternative method for iPad users to download their favorite tweaks and apps without having to worry about Cydia. 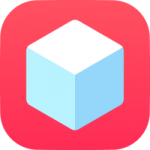 It’s called TweakBox, and it is an app installer that contains many of the same features as Cydia. You can download TweakBox app in one of two ways, and the steps for both are detailed below. On your iPad launch, the TweakBox app an find the iOS version of your iPad. Click the download button above. Once you have completed these steps, you can tap on the TweakBox icon on your home screen and begin using it. Just follow all the instructions in TweakBox to download your apps and tweaks. You should find that all runs very smoothly with TweakBox and you won’t experience any trouble at all. If you do, you are likely to come up against one of two different errors. If you see a Profile Installation Failed error, just click on the given link for a guide on how to fix it. If a downloaded app doesn’t run, go to Settings > General > Profile and tap on Trust beside the relevant app. Let us know how you get on with TweakBox and follow us on Facebook for more updates. Cannot get Movie Box to install and don’t understand what to do. I get a warning about the developers? Thanks for your help my friend . It worked for me. clash of clans doesn’t work hacked. it opens then closes straight out. I have trusted the developers and downloaded the crash fix, but it just won’t work. any solutions? We have fixed it. try now. Download the app but it’s not verified. What can be causing that? I have installed the app, but it won’t open, tried all troubleshooting.help? I have an old iPad and cannot get tweakbox to install does it only work on newer versions ? ipad 2 is supported and above .which version of iPad do you have . Hey developers, please respond to this, every time I click on th link it says it downloaded but it doesn’t work and also please add War Robots to the hacks because that is my favorite game and it would be awesome to hack please and thanks! I’ve also cleared the cash and rebooted the iPad , but it does the same thing. Working great on my iPad. cheers !!! I’m on the latest version of iOS 11, on an iPad Mini 4. I finally was able to download TweakBox on my iPad Pro (IOS11). yay !!! I’ve tried both ways, first method using safari is easy, second method takes a while after saying “installing TweakBox” but works still. I’ve also tried resetting my networks when it didnt go through the first time. It took me a little bit, but once I reviewed the steps and with the sample shown it was easy to download the first method. great to hear that. do let us know if you have issues. worked on both my iPad’s.